GHLSYS (0021) forming higher high & higher low. 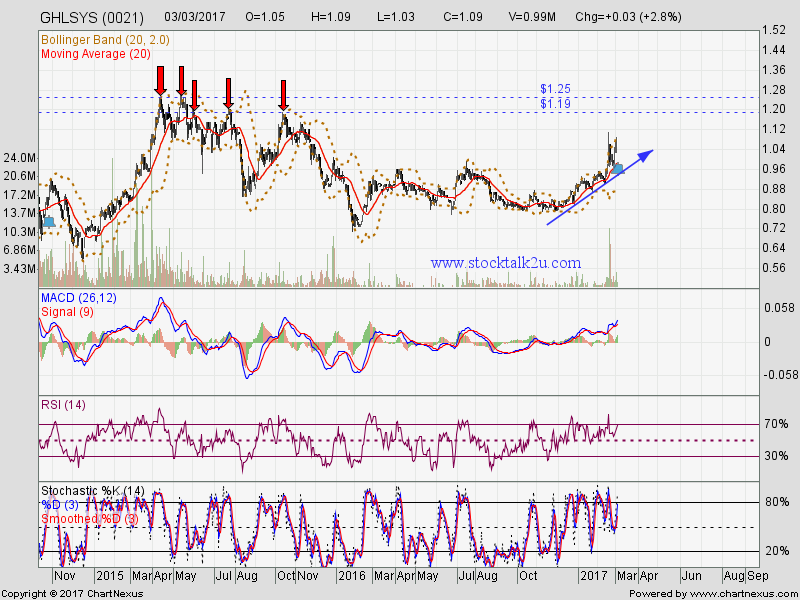 Will it retest RM1.25 resistance level again ? 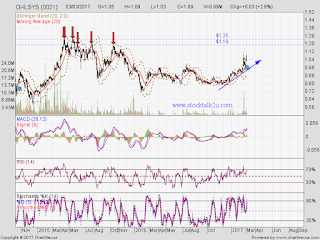 MACD trade at positive region, uptrend stock. Immediate support @ RM0.975 level. Immediate resistance @ RM1.19 level. Subsequent resistance @ RM1.25 level.